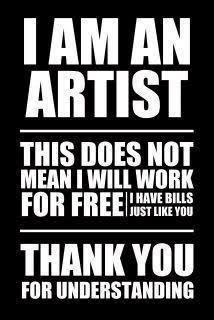 As writers, artists and other creative entrepreneurs, we are often asked to do things for free. Or worse, we’re given ‘opportunities’ that turn out to be free labour. From internships to magazine work, freebies are a part of the creative work environment. But how do you know if you’re wasting your time? Obviously, you’ll decide if it’s worth it- but if you get paid for what you do, that’s a good sign that it’s worth doing. Not only are you making moolah, but being paid is a legitimising factor. It’s a symbol of professionalism, and a mark of respect. And once someone pays you, the likelihood it they’ll continue, as will others who want your services. There’s a reason facebook is so powerful, and it’s not its addictive quality or ability to pander to nosiness. It’s because of the information it holds. People’s likes and dislikes, their hobbies and preferences matter. And they should matter to you. If you get the chance to get feedback, professional or otherwise- it’s invaluable. It can help you hone your skills, get testimonials which can lead to further work. It’s also useful in marketing because you’ll know what your audience likes, and know where to focus your advertising. No artist is an island, and the greatest thing we can do is find contacts in our field. They might promote your work, they might pass opportunities your way. They might just be someone who works the same way you do, and can make you feel like you’re not so alone. This artistic life can be a bit lonely, and the more people you know, the easier your life becomes. Just don’t get sucked into trying to attend everything- be as supportive as you can. Sometimes doing a freebie is worth it if it’s going to lead to further work. This summer I’ll be running a Write Here, Write Now writing workshop for kids as part of the Finchley Literary Festival. I’m doing this for free. But the hope is that the kids and parents who attend will know who I am and what I’m about, and know where to find me if they want to do further lessons. It’s also a great chance to give out some flyers, talk to interested people, and generally find out who is in the area. 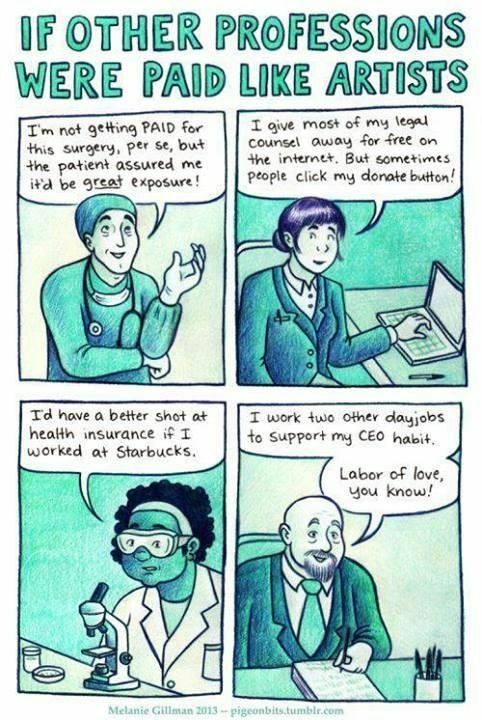 Doing too many of these freebies isn’t advisable, as people tend to think you’re willing to work for free. But the occasional work to get you into a new area, especially when you know people in that field are doing well, is very worth it. Sometimes, you won’t get paid for doing what you love, but if you love it, it can be worth it. I ran a creative writing workshop every week where only one child turned up. Technically, it would have been smarter to scrap the workshop and focus on new revenue streams, or writing my book, but I LOVED working with this kid. He was excited and talented and really appreciated the time I spent with him. And that excitement invigorated me in the rest of my work. Sometimes we forget about the joy- it’s a necessary component!